Hunter Biden, his first name Robert not used, Joe Biden’s son, has been appointed to the Board of Ukraine’s largest gas producer. Joe Biden in currently the Vice President of the United States, under Barack Obama, the president. A five star winner, Hunter Biden’s law degree awarded by Yale University, at the top of school producing legal talent. He has served in a mirage of leading positions in various prominent companies in the United States. Biden, will lead the legal team of Burisma Holdings, the largest natural gas producer in Ukraine. The country is laden with huge reserves of natural gas. They are the center of Russia’s network of of pipelines serving lands preferentially to the Far East, with China the dominant receiver of gas. China desparately needs addition gas to fire up rapidly growning industrial empire. Russia gave the Ukraine freedom with good will from its Union of Soviet Socialist Republics sixty years ago. But confronted by recent unsettling moves by the United States to gradually expand its sphere of influence to include the the Ukraine, Russia gave Crimea, a section of this land the to southeast, to opportunity to rejoin them. Bosnia gave overwhelming approval of 97 percent to opportunity to rejoin Russia has not yet occured because of steady, powerful resistance by the Ukriane government in Kiev. This government, which was installed recently but by coup not by election. Washington claims the coup was a “legal election”, but it was really a coup since no elections whatsoever were held. The new president was just put in power. That was that! Crimea is strongly allied by Russia because of its longstanding, heavy balance of people that have very stong Russian heritage. Kurt Nimmo, Infowars.com, has the report. 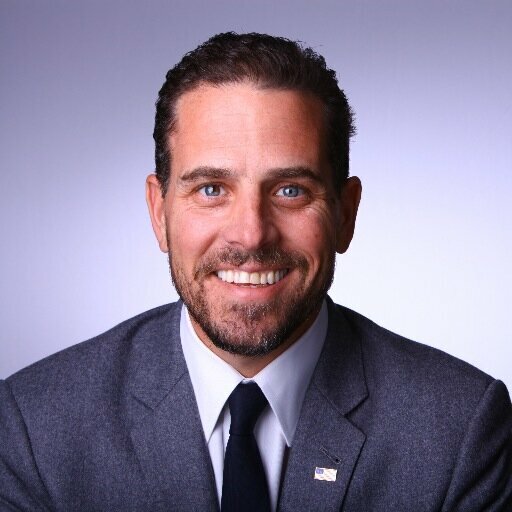 Hunter Biden, the son of Vice President Joe Biden, will lead the legal team of Burisma Holdings, the largest natural gas producer in Ukraine. According to The West Wire News, Burisma Holdings is a considerable player within the Ukrainian natural gas and oil industry. It holds licenses covering the Dnieper-Donets, Carpathian and Azov-Kuban basins and has considerable reserves and production capability. “Burisma’s track record of innovations and industry leadership in the field of natural gas means that it can be a strong driver of a strong economy in Ukraine. As a new member of the Board, I believe that my assistance in consulting the Company on matters of transparency, corporate governance and responsibility, international expansion and other priorities will contribute to the economy and benefit the people of Ukraine,” the Burisma Holdings website quotes Biden. Biden is a lawyer with insider connections to the financial industry and government. In addition to holding directorship for the U.S. Global Leadership Coalition and The Center for National Policy, he sits on the Chairman’s Advisory Board for the National Democratic Institute (NDI). The NDI is a project of the National Endowment for Democracy (NED), the taxpayer funded organization that does what the CIA did covertly 25 years ago, according to one of its founders, Alan Weinstein. For more on the role played by NDI, NED, George Soros and the State Department on the overthrow of the elected government of Ukraine and the installation of the current junta led by banker Arseniy Yatsenyuk, see our Nuland Audio Reveals State Department Role in Undermining Ukraine and Wayne Madsen’s Crisis in the Ukraine: USAID Support for Destabilization of Russia. The effort to improve the investment climate for large multinational corporations on the Russian border is spearheaded by the U.S.-Ukraine Foundation, a non-profit NGO funded in part by ExxonMobil, Coca-Cola and Raytheon. In April Hunter’s father trekked to Ukraine to show support for the junta led in part by fascists and ultra-nationalists. “There are currently ongoing threats to Ukraine’s sovereignty and territorial integrity, and the most effective response to that is for all of Ukraine to pull together,” an Obama administration said prior to Biden’s mission. Beyond the standard rhetorical flourishes about democracy and freedom, Biden Senior’s trip was about securing a proper investment climate in Ukraine. The official said the U.S. energy consulting team will travel from here to Slovakia and Hungary to work on ways of reversing the flow of some of Ukraine’s pipelines now supplying Europe. Over the longer term, the official said, the U.S. government will work with Ukraine to help the government increase domestic gas production. What is American Chamber of Congress in Ukraine all about. To obtain a copy of this report, move your mouse over this link. Then press the knob on the mouse until the flow and finally ends.